Genre: Yep another one- Blogger writer- this one is cool as it is from a kiwi perspective! "Allow me to introduce myself. I'm Jamie, I'm 19-years-old. 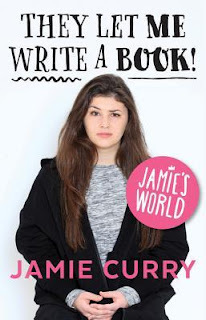 I make videos on the Internet, and enough people watched them that they let me write a book. I know. What is life?" Inside these pages is my life so far, and what I've learnt - or haven't learnt - along the way. Read about my cowboy hat years, the year I dug a big hole, and the time I pulled down my pants at a badminton game. I'll tell you my top travel tips (drink water), how to have fun at a school ball (don't go) and how to be an adult (eat an oyster). And I'll talk about YouTube, because I suppose that's what got us into this mess in the first place .. I seriously loved this book. I love Jamie and this books was amazing.